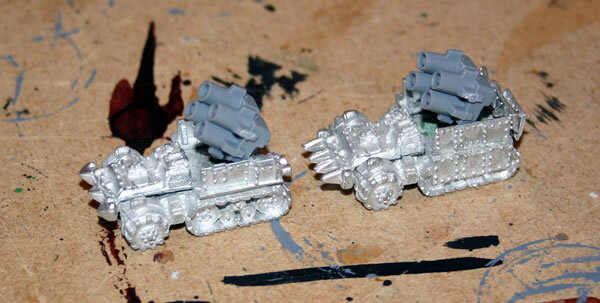 Having finished a couple of these, I have been working on a some more of the Ork Airfield Defence Force airfield vehicles. 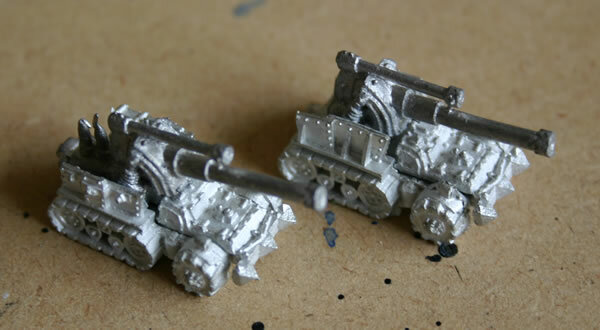 These models are starting off from Ork Flakwagons. 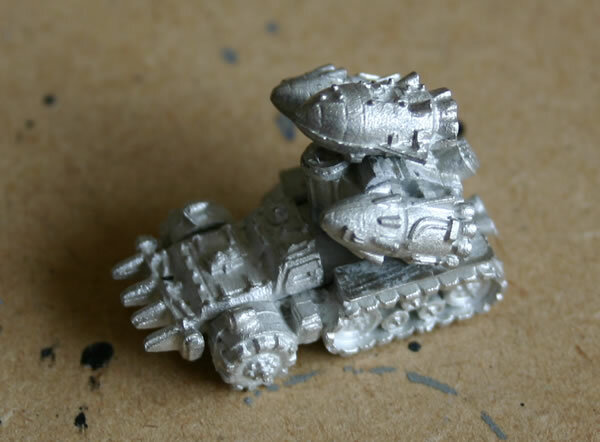 This is one attempt using the smoke launchers from the 40K scale Chaos Rhino, personally I think they look a little too high tech for the Orks. Here is another one which looks more convincing using Space Marine era Basilisk guns. This is my Ork Anti-Dropship Flakwagon. The concept is that upon sighting an Imperial Dropship (or similar) it would fire all three rockets and attempt to take it down. It is also used on the battlefield as a heavy artillery piece as well. It is an Ork Flakwagon with the side panels cut off. A Hydra central unit (from the main weapon) is stuck onto the back and then three Pulsa Rokkits are stuck on that. 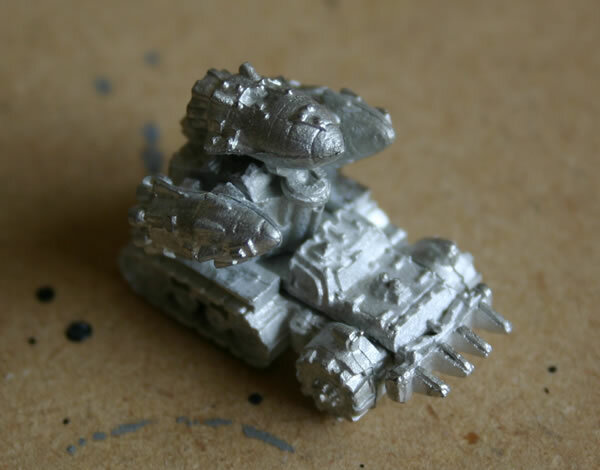 It could also be used as a Ork Soopagun.